"Saw an opportunity and grabbed it"
Music was made to inspire. Made to bring out some emotion or thought from the listener. Just something more than what they came as before they hit play. What Black Kenn gives you with his new song "Tommy Nap Sack" is something that will make you move and also your new favorite song to listen to. 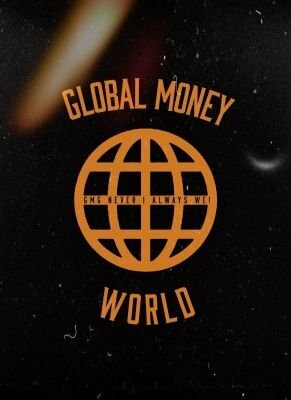 Black Kenn was first on Global Money World with his song "Atmosphere" and his performance on his new song "Tommy Nap Sack" is nothing short of amazing. The production is hard and accelerating while Black Kenn provides all the excitement in the world, with his infectious flow that engages you from the second he opens his mouth till the track ends. The lyrics are swagger filled and have that bravado or machismo you look forward in a next rap star. Black Kenn's "Tommy Nap Sack" is hip hop gold. The supreme rap skills from Black Kenn deserve all the love and adoration garnered, with him providing a stellar performance over this exciting instrumental that helped showcase his high skill level in audio form. Greatness is in stored for this amazing artist. Check out Black Kenn "Tommy Nap Sack" below and follow him on Twitter. Stay Global my Friends!